The problem with the hospital stay is that new parents are WAY to anxious to get back home. Allow me to describe heaven to you. Heaven is around the clock milkshakes while your older children are being cared for by a responsible adult. Preferably a grandmother who loves them to bits. Heaven is when other people are changing your baby’s diapers so that you can get some much needed rest. Heaven is when you are not expected to move from your bed at all and can spend the afternoon playing Angry Birds and tweeting from your iPhone in between breastfeeding rounds. Heaven is when everyone in the world drops everything to come see you and bring you flowers/gift packages andyou don’t have to make any of the arrangements. They don’t even expect you wear clothes! Heaven is when a paper gown and a bed sheet is perfectly acceptable attire! If you would see your hospital stay for what it IS then you will understand that the days following your sweet child’s birth ARE in fact, heaven on Earth. Heaven is even more heavenly when you don’t wake up with a crink in your neck thanks to a too fluffly pillow. Internet access means nothing if your don’t have something to access it with. Everyone on Twitter will need to know how great you look after just giving birth to a baby. Don’t forget your camera and risk losing those amazing photo opps of yourself. Note: Two words…Instagram. Valencia. Oh! And take some of the baby too! While a paper gown is acceptable, it’s sure nice to snuggle into your old favorites. Those milkshakes will need a kick. If you do decide to walk somewhere (you shouldn’t), you definitely don’t want to be touching the hospital floor with your bare feet. 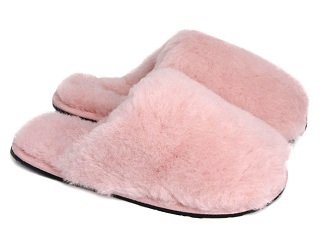 Slippers are your best bet. Is it really okay to have an occasional drink during pregnancy?